After spending nearly 100 hours researching and reviewing CPUs, I’ve concluded that the Ryzen 2700 is the best overall gaming CPU. With plenty of cores and multithreading, this CPU has enough power to handle all of your gaming tasks. But don’t worry, we have five more of the top processors in the land that fit a variety of needs (and budgets). 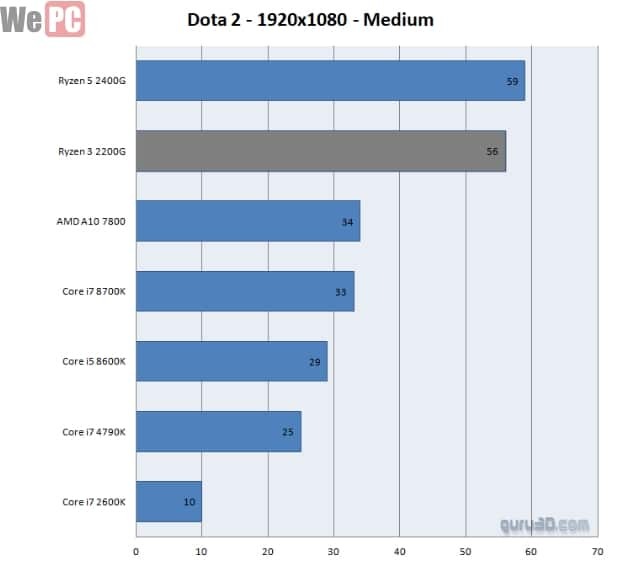 Even better, we have gaming CPU benchmarks for each of them. If you’d rather do the research on your own, then we can help give you peek into the current gaming CPU landscape, and if all of this sounds like nonsense, then don’t worry: we go over everything you’ll need to know about gaming CPUs below. For right under $300, this processor is a great pick for overall value with it’s high core and thread count paired with the fast speeds. When it comes to choosing the best overall processor-- and the best AMD processor for gaming-- the Ryzen 2700 is a great choice. This processor is capable of handling anything you throw at it, and won’t break the bank either. The Ryzen 2700 has enough power to be suitable for even high-end gaming systems, but at less than $300 it can even be suitable for some budget builds. When it comes to sheer power, nothing beats the Intel Core i7-8700k. With a good core and thread count combined with blazing fast speeds, this processor works great for gaming. Choosing the best Intel CPU for gaming was a rather easy decision. In fact, the i7-8700k is such a powerful processor that it’s arguably the best processor for gaming. 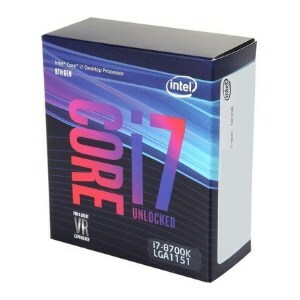 Packing quite a punch, the i7-8700K has a range of 3.7 - 4.7 Ghz. This is good, as it allows it to conserve power and energy when not being used. The best gaming CPU for mid-range. 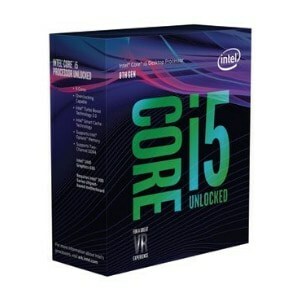 The Intel Core i5-8600K is a great choice for a mid-range processor. You get 6 cores and 12 threads and it breaks into the 4 Ghz range, which is great for gaming. Maybe you’re in the market for something a little less pricey, but will still give you great performance. The Intel Core i5-8600K is where we break into that mid-level range of of CPUs. Gaming will be cake for this processor with its speeds of 3.6 Ghz - 4.3 Ghz. 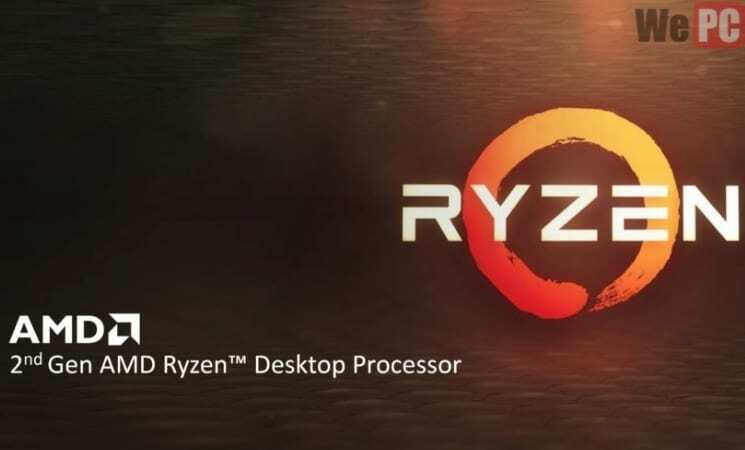 If you’re looking for a processor that’s cheap and efficient and will get the job done, then look no further than the Ryzen 2400G. Quad-core, multithreading, and under $200. The $100-$200 range is where we start breaking in the low-end builds, and the tight budget builds. You can still game on these-- otherwise we wouldn’t mention them-- but you will be making some concessions (some mix of lower frame rate, resolution, in-game graphical settings). The Ryzen 2400G fits that description perfectly, with a sub $200 price point while also being a quad-core multithreaded processor. 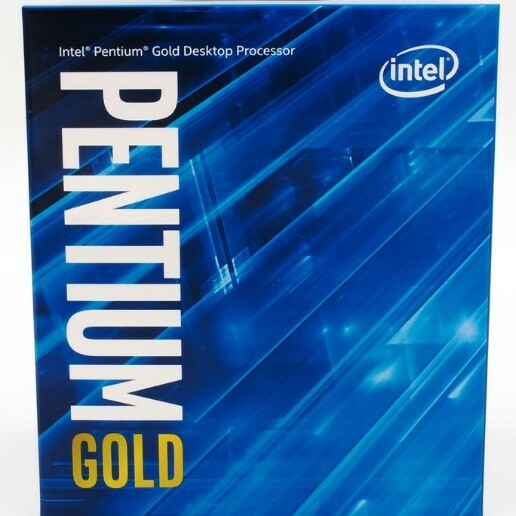 If you’re really on a budget, and just need a CPU that will do the job, the best Intel option is the Pentium Gold G5600. When it comes to super budget processors (sub $100), both Intel and AMD have excellent options to get you going. 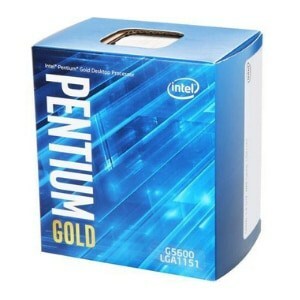 Our first pick is the Intel Pentium Gold G5600. While it’s only a dual-core processor, it is still quite fast with a base 3.9Ghz clock speed, making it a good choice for super budget gaming. 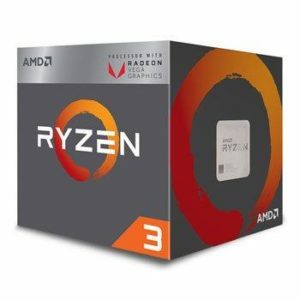 Another option available to you is from AMD: the Ryzen 3 2200G. It’s a little pricier and a little slower than the G5600, but it’s also has 2 more cores than it’s competition does. Our other pick for best sub-$100 gaming processor is AMD’s other APU, the Ryzen 3 2200G. With 4 cores and 4 threads, it’s a better choice than the Pentium G5600 for multitasking, but falls short of the G5600 in terms of pure speed, maxing out at only 3.7 Ghz. When choosing what we want to showcase to our audience, we do extensive research first. We only want to bring the best and most accurate information to you. This involves several steps to ensure quality. First, we make sure we’re up to date on current releases. We wouldn’t want you to get old and stale information when building your system! Next, we scour online sources for gaming CPU benchmarks, and see what CPUs are doing best in each field. This helps ensure that the processors we suggest to you will work for gaming (even if only just a little when it comes to the super budget builds). After we make sure the processors will work for their intended niche, we make sure they have received good reviews from both consumers and critics alike. We look on well known sites, such we Amazon, Newegg, eBay, etc. to make sure they get great reviews and will last. Choosing a CPU can be fun and exciting, but there are things you should consider before just buying that shiny new piece of hardware. You wouldn’t want to buy one and find out it won’t work in your system! There are a lot of terms you will seen thrown around when reading about CPUs, so let’s go over some of the most common ones before jumping into the good stuff. A processor is made up of cores and threads. Nowadays, CPUs have multiple cores, allowing them to do multiple tasks; think of it as the literal embodiment of the old saying that two (or more) heads are better than one. The computer treats threads as virtual CPUs. In this metaphor, threads would be how many tasks each head (core) could handle. They can only do one thing at a time, but they can switch extremely fast. As such, threads serve as a fast, efficient way for your CPU to effectively switch between handling multiple tasks. Clock speed, sometimes known as cycle speed, refers to how many cycles a core will perform every single second. This is measured in megahertz. So 4MHz would be 4 billion cycles per second. There are certain types of processors: locked processors and processors that can be overclocked to attain higher clock speeds than its stock speed. However, overclocking has to be done right or you’ll risk damaging your CPU, rendering it useless. Nevertheless, it’s a rule of thumb to ask: “Is overclocking worth it?” before doing so. If you’re unsure which processor you should get, read our article on which CPU do you really need? Or you can check our CPU hierarchy to see a detailed list of CPUs and which category they belong to. Together these will give you a general idea about how well the processor in question will perform, but the picture is incomplete. For instance, IPC (instructions per cycle) tells us how many actions can be taken every cycle and is often much harder to find. Moreover, certain tasks utilize fewer cores, like video games, which means you’ll want strong single core performance (it’s still good to have at least 4 cores for gaming, though). While other tasks, like video rendering, utilize a lot of resources, meaning you’ll want extra cores (6 or 8). Ultimately, this is why we always benchmark, or test processors, doing different types of tasks. This is precisely why we’ve included benchmarks in our reviews at the bottom. The socket is the physical mount on your motherboard that holds the processor in place. As such, the first thing you’re going to want to check is that the socket on your motherboard matches whatever processor you’ve chosen (or vice versa!). Each brand and (sometimes) line of processors have their own socket type and won’t fit in one not designed for it. 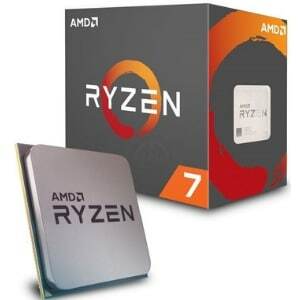 For example, an AMD Ryzen 7 uses the AM4 socket type and won’t fit onto Intel’s LGA 1151 socket, which is meant for their Core processors, and vice versa. If you’re purchasing a new CPU and a new motherboard together, check the specs to make sure they’re both the same socket type (I suggest deciding on your processor first, then find a matching motherboard). If you’re upgrading one or the other, check the specs online and make sure the new piece of hardware matches up accordingly. Each processor will have a set of chipsets that it’s compatible with. These chipsets are important when choosing your motherboard, as they determine whether or not some features will be disabled. The more advanced the chipset, the more features that will be unlocked (More PCIe lanes, more USB 3.1 ports, SATA ports, etc). As with the socket types, check your hardware specs to see what chipsets are compatible, and what each one will unlock on your board. The first thing to consider when choosing your gaming CPU is what you intend to use it for. Just because a CPU is “the best” in one category, doesn’t mean it’s the best CPU for you. Sometimes, you just want to build a powerful gaming rig. You don’t care about streaming, or content creation. Your bottom line is getting those high FPS numbers. When it comes to a pure gaming build, speed is your friend. Games aren’t as dependant on CPU cores and threads as much other programs and tasks are. 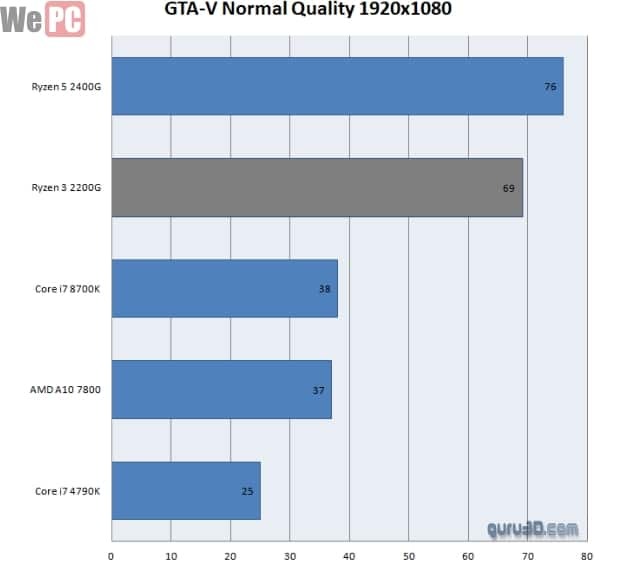 Anything quad-core and higher is sufficient for gaming. Most games will run on a dual-core processor, but more and more games are starting to require a quad-core or higher to install and run. Pairing a fast processor with a good SSD, powerful graphics card, and some quality RAM will really up your FPS count. Maybe you don’t care about pushing frames, and saving your content for the world to see. Perhaps you’re more the casual type. You just like to game now and then on your free time, or you’re just not into AAA games, and don’t need all the processing power. If all you need is just something to say play your Steam games and maybe minecraft, then a casual gamer setup might be for you. Typically the casual gamer build doesn’t need the latest and greatest. Although that’s not to say the casual gamer can’t own a high end system that allows them to play the newest games as long as they run at a modest 60 FPS. When looking for a processor for casual gaming, you should look for one that is at least a quad-core if your budget allows. It also doesn’t need to be extremely fast. Choosing a processor from this list should give you a smooth playing experience for the casual gamer, without having to buy a needlessly expensive processor. If you’re like a lot of gamers now, you probably stream your games somewhere, or you record your games and upload them later for public (or private) viewing. This can be somewhat taxing on your processor if you don’t have one with cores and threads. Having a higher core and thread count will help your computer multitask, allowing it to record your game, as well as process everything that is going on without lagging you out. Let’s say you’ve already got a following on your Youtube channel, you’ve got your followers on your stream, and you’re ready to kick production up to the next level so that you can start creating better videos. You’ve decided to build an all-in-one station, something that can do it all. Game, stream, and pump out good quality videos. This is going to require more computing power than just streaming or gaming alone. Perhaps you’ve had a gaming machine for a while, and you’re looking to take it to the next level and want to dive into overclocking to get every bit of performance out of your machine that you can. Or maybe you’ve heard that overclocking is much more simple than it used to be, and even though you’re new to the custom gaming PC scene you’d still like to play with overclocking. If you’re looking to overclock an Intel CPU you’ll have to buy a model that ends in a “K”, such as the Intel i7 8700k. 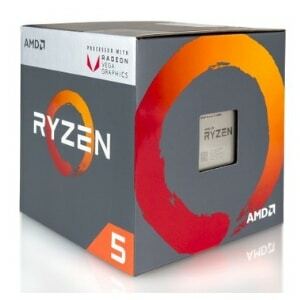 If you’re looking to overclock an AMD CPU, all Ryzen models (which is AMD’s current gaming line) are unlocked for overclocking. There is no standard that you should be looking for in terms of speed and core/thread count when it comes to overclocking, as Intel only offers one CPU in each build range that can be overclocked, and all of AMDs can. Base speed is only 3.2 Ghz; may cause slight FPS drops. With 8 cores and 16 threads, this processor is suitable for any kind of computer setup. Video rendering, streaming, and gaming won’t be an issue here. I chose this over the 2700X due to the price and the better clock speeds. You’ll save a few bucks that you can put towards that shiny M.2 you’ve been saving for and the higher clock speeds will be better for gaming. When it comes to benchmarks for gaming, the 2700 does very well for itself. When paired with a powerful video card, the Ryzen 2700 comes close to-- and often reaches over-- 100 FPS while using 1080P high settings in most AAA games. 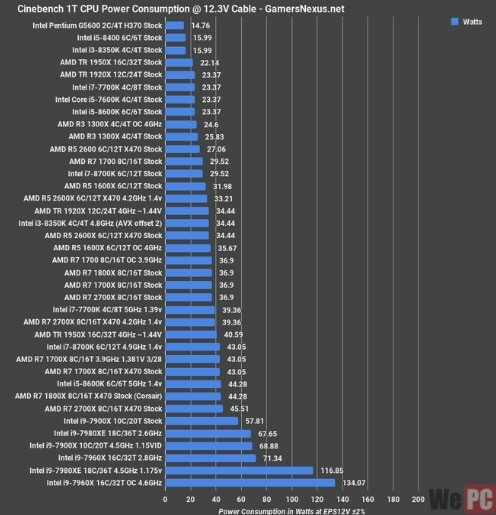 Let’s look at the benchmarks done by AandTech for the Ryzen 2700. These show the Frames Per Second (FPS). The higher the frame count, the smoother the game play. Thanks to AandTech for the great benchmark work. While it doesn’t rank as high as the i7 line of processors, it’s definitely got enough of a kick to still push enough frames to satisfy that high refresh rate monitor of yours. As with all Ryzen models, this unit is unlocked for overclocking. Ultimately, its combination of power and value make it the best Ryzen for gaming and potentially the best processor for the money that’s on the market right now. Has a 95W TDP; will run hotter and need more cooling. When looking for the most powerful gaming CPU on the market, it currently doesn’t take much more than looking at what Intel has at the top of the i7 line. The multiple core and thread count makes this processor a great choice for streaming and some content creation. So if you want a gaming processor that will push the fastest frames while still allowing you to stream and grow your gaming channel, this is the processor for you. When it comes to gaming benchmarks, the 8700K reigns supreme as it dominates the competition in 1080p gaming. Even for 4K gaming, it’s still very near the top. The 8700k has a TDP of 95W, so it’s going to draw more power and generate more heat the higher it clocks up. Having a 1 Ghz range lets it be a little more efficient, as it can run at a slower speed to save on energy and reduce heat, while still having enough power when the time comes. 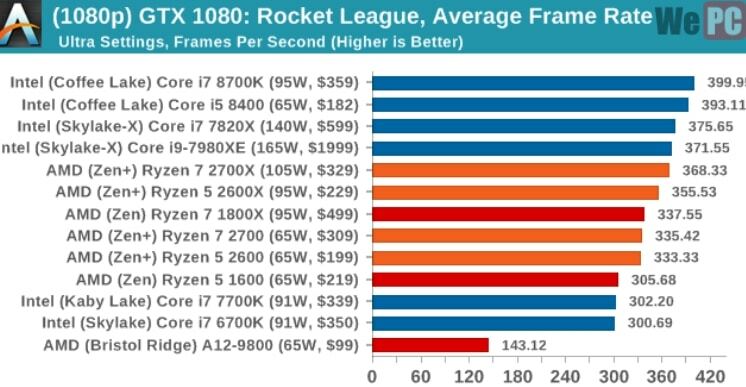 The 8700K beats out even the new Ryzen 2700X in benchmarks. 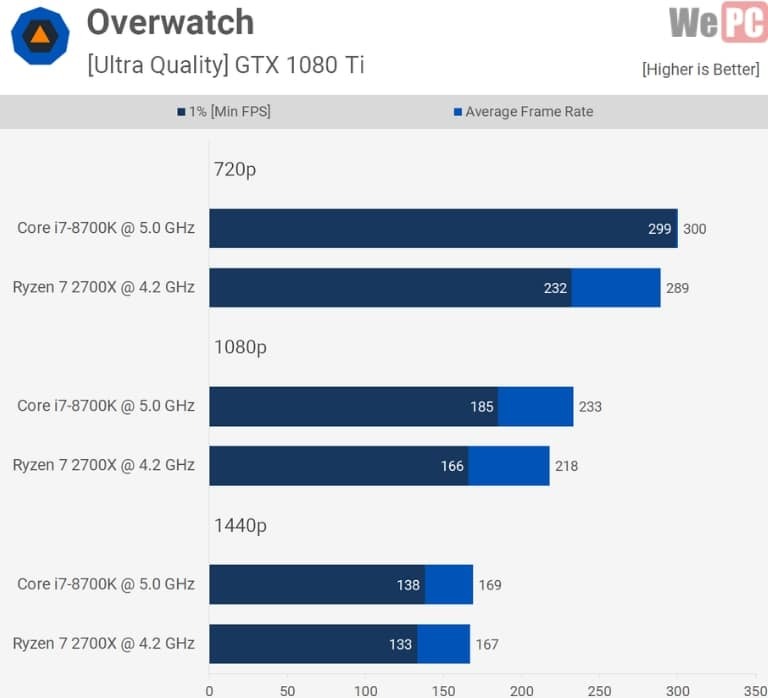 Let’s look at some benchmarking done by TechSpot. Thanks to the people at TechSpot for the great benchmarking. As you can see, the 8700K pulls no punches when it comes to power and gaming. It knocks out just about any game thrown at it; whether it be graphic intensive, eSports, or battle royale. Also, since this is a K unit, the 8700K comes unlocked for overclocking. The Intel Extreme Tuning, available from Intel themselves, makes overclocking relatively easy. 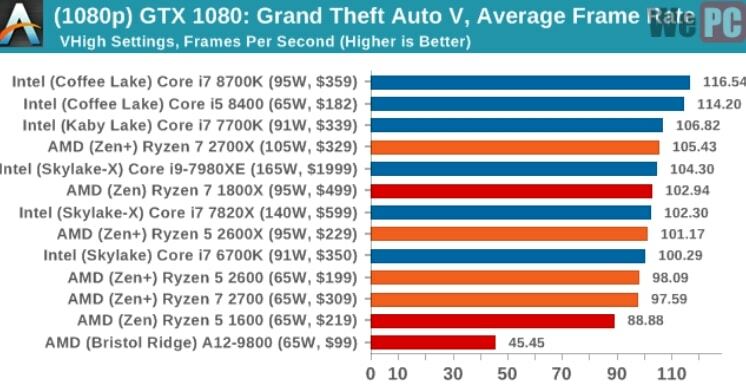 Ultimately, since overclocking is most beneficial at the high end of computer hardware, the 8700K’s overclockability is what makes it the best i7 for gaming. If you’re looking for a processor that’s great for gaming and some light multitasking (gaming while running 1080p Youtube videos), but that won’t make you dig into the piggy bank (too much), then the 8600K is a great pick. Even if it’s not the most powerful CPU on the market, it is still a good gaming processor. With the 6 cores and 12 threads combined with the fast speeds of 3.0 - 4.1 GHz, streaming and light content creation are well within the power of the 8600k. When it comes to gaming, the 8600K still ranks high in many benchmarks. In fact, with a good GPU, this processor can breeze through a lot of AAA games in 1080p gaming. 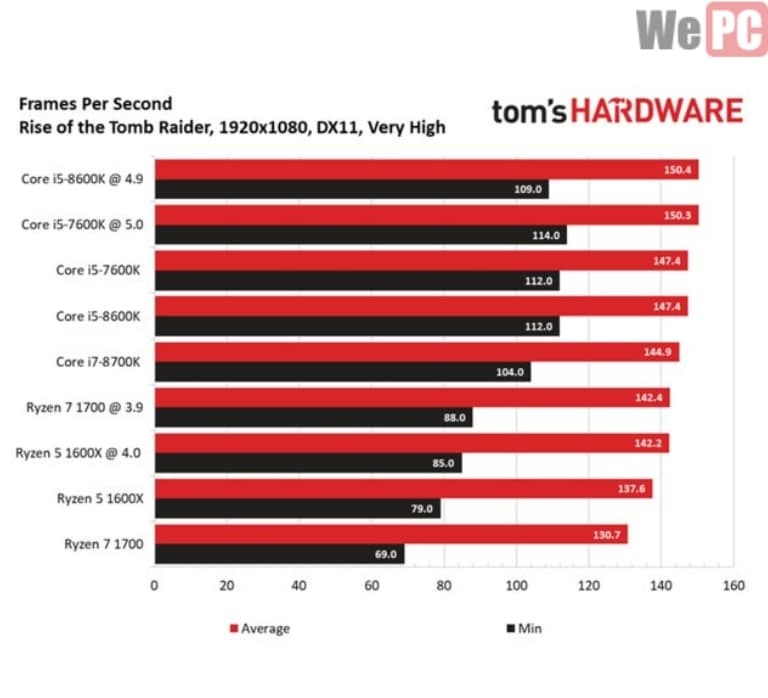 Tom’s Hardware has some great reviews-- and benchmarks (seen below)-- for the i7-8600K. 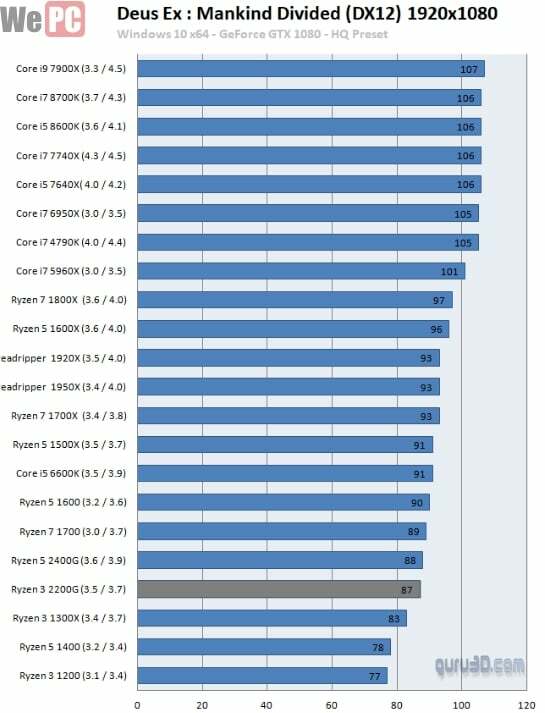 These benchmarks show the CPUs at stock speeds, and overclocked @ specific speeds. 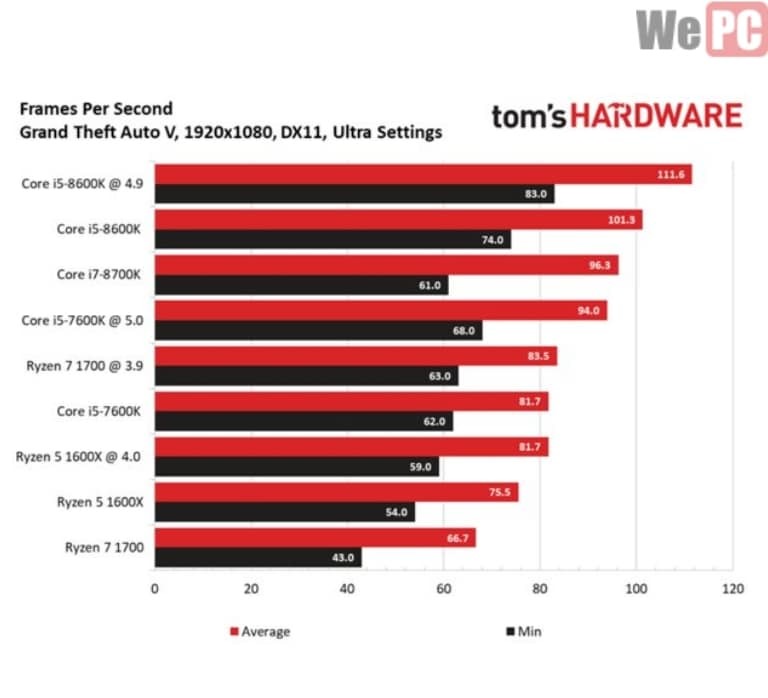 Let’s all thank Tom’s Hardware for the great benchmarking. As you can see, the i7-8600K is an absolute beast when it comes to gaming, keeping up with and exceeding just about everything in its class, and for such a reasonable price. Thanks to the core and thread count, you’ll have no issues with multitasking or rendering. This means you can record those sick 360 degree no scopes and upload them while all your fans watch your stream, and have no issues. And since this is a K model Core processor, overclocking is achievable. Much like the i7, this overclockability makes this the best i5 for gaming. Priced at the top of the super budget end. You might have noticed that this is a G model Ryzen unit. This denotes that it’s an APU, which combines an AMD CPU and an AMD Radeon gaming GPU (video card) into one. While it has a built-in gaming graphics card, it’s not as powerful as a dedicated card. But when paired with a dedicated graphics card, the integrated GPU is disabled, and you’re left with a 4 core, 8 thread 3.9 Ghz processor for under $200. The price point and speed are why I chose this processor over say a Ryzen 1400 or a Ryzen 1500X. Don’t get down on the Ryzen 2400G just because APUs have a bad history. 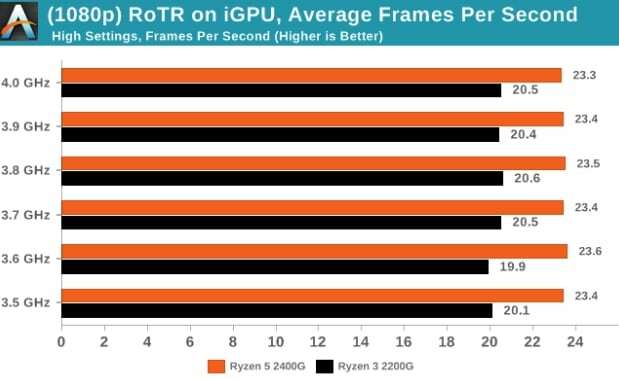 Out of the three, the Ryzen 2400G has the best speed and pricing; it’s a damn good gaming processor. When it comes to gaming, the 2400G benchmarks well when paired with a dedicated graphics card. In fact, it handles 1080p gaming with ease. The integrated graphics card, Vega 8, is more suitable for gaming on low/medium settings with most AAA games. But, let’s take a look at some benchmark testing done over at Aandtech instead of engaging in vague generalizations. Ryzen 2400G with integrated graphics. As mentioned above, there’s two ways to run a AMD APU: with the integrated graphics (iGPU), and with the a dedicated (discrete) graphics card. First, let’s look at the benchmarks with the integrated graphics. The first benchmark that we’re going to be looking at is the triple-A game Rise of the Tomb Raider. As you can see when it comes to gaming with the 2400G’s iGPU, it falls short of 30 FPS, which is less than ideal. But this is a triple-A game on high settings and the graphics can almost always be tweaked to get much better performance. 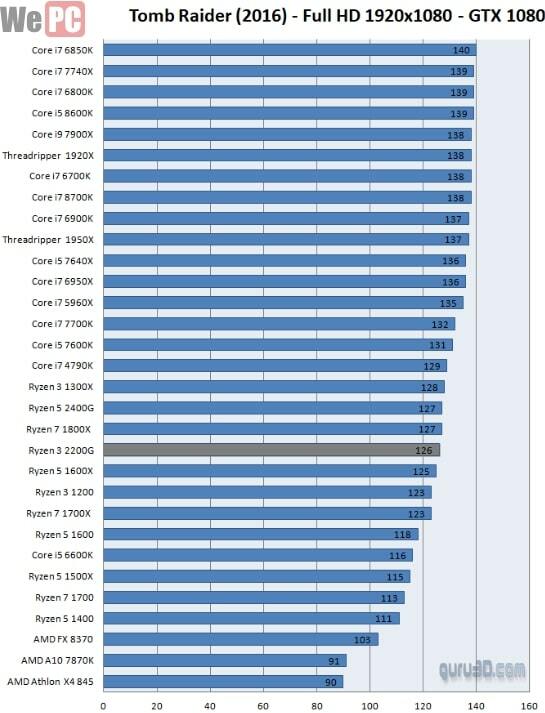 If we look at less graphic intensive benchmarks, we can see that the 2400G’s iGPU start to meet and exceed that 30 FPS mark that you’re looking for in a budget system. Ryzen 2400G with discrete graphics. The 2400G really shines as a value-based gaming processor when it gets paired with a discrete GPU. Let’s take a look at benchmarks for disabling the iGPU and letting it act as a stand-alone quad-core processor. 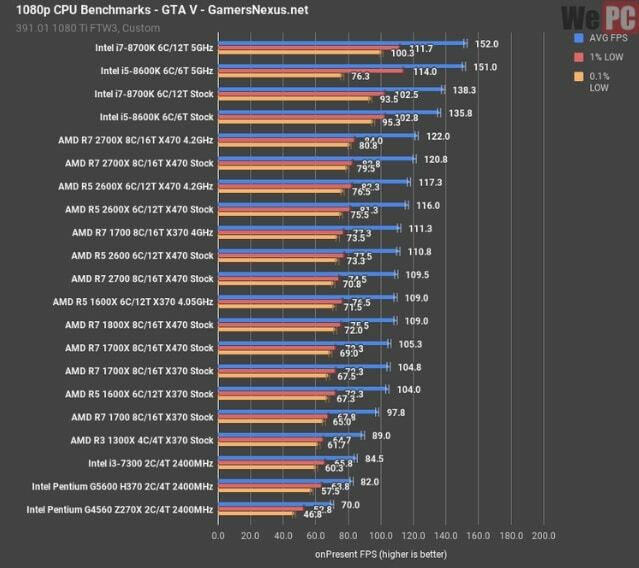 As you can see by the benchmarking done by the people at Aandtech, even pairing the 2400G with something as simple as a GTX 1060 will allow it to reach that 60 and 100+ FPS easily, making this a great choice for a budget processor. As a bonus, you can use the integrated graphics as a backup gaming GPU incase your discrete ever fails. This processor is a gold mine for super tight budget builds in that it keeps more gold in your mine (And that it is literally named the Pentium GOLD). One of two sub-$100 processors on this list, the G5600 is a perfect starter processor. Even though it has multithreading, it’s still only a dual-core processor, so multitasking will likely tax it. Moreover, this is not a K model unit, meaning the processor cannot be overclocked. When looking at the benchmarks, the Pentium G5600 isn’t in the lead by any means, but it can still hold its own in the 1080p gaming scene. 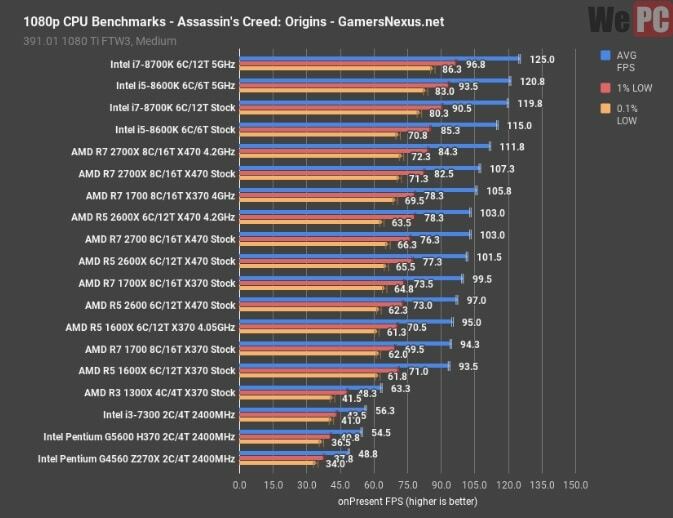 Check out the benchmarks done by GamerNexus. So it’s not going to run three instances of Crysis at 4k while you cook ramen in your microwave behind you, but it should still keep up if you’re just looking to have a playable FPS. A little hidden gem I’ve included is that the Pentium G5600 in incredibly low on power consumption, with a TDP of only 54W, meaning it should run nice and cool, saving you money on a more advanced cooling system. 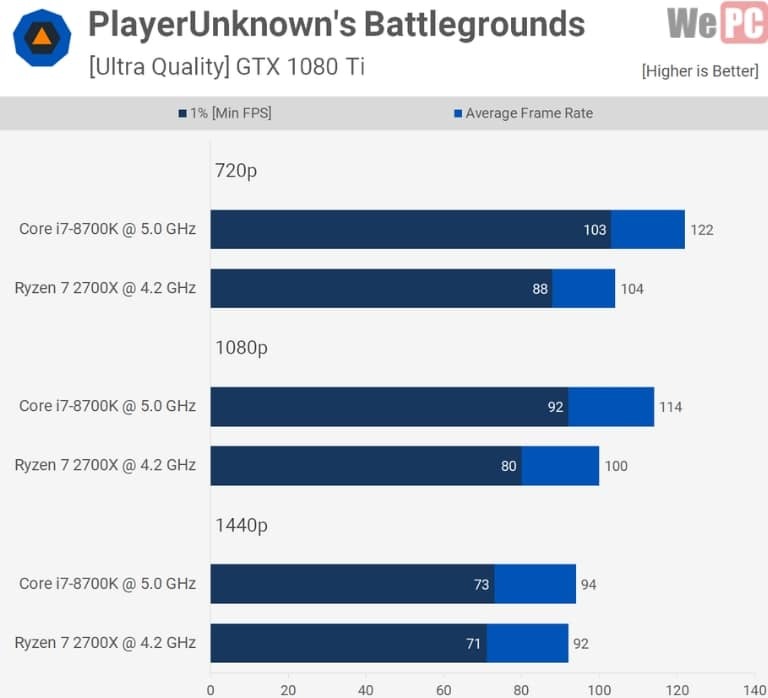 Thanks to the guys at GamersNexus for the awesome benchmark work. Excellent price point for a very restrictive budget ($98). Very top of the price range; not wiggle room for budget. 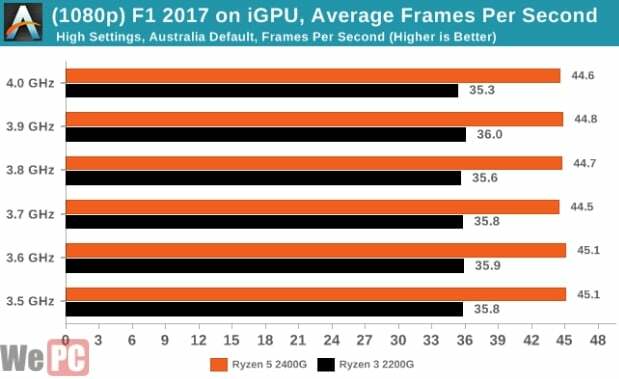 The Ryzen 2200G is not a blazing fast processor. It’s not not a souped up Civic claiming to have beaten his buddies ‘Stang. No. It’s meant to handle handle the day to day tasks efficiently while still providing enough power for games to be playable. As you can tell from the G on 2200G, this is another Ryzen APU, so it has Radeon Vega graphics built in. This can be a nice backup if your video card goes out and that build raid is going to happen before the new one arrives. 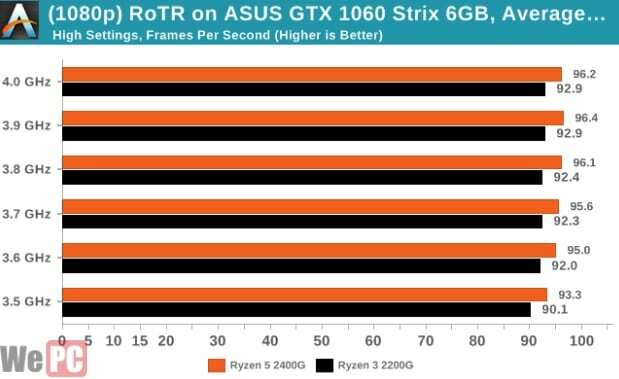 When we look at the benchmarks, we can see the Ryzen 2200G can handle 1080p AAA gaming when paired with a dedicated graphics card, but starts fall short when it comes to multitasking. 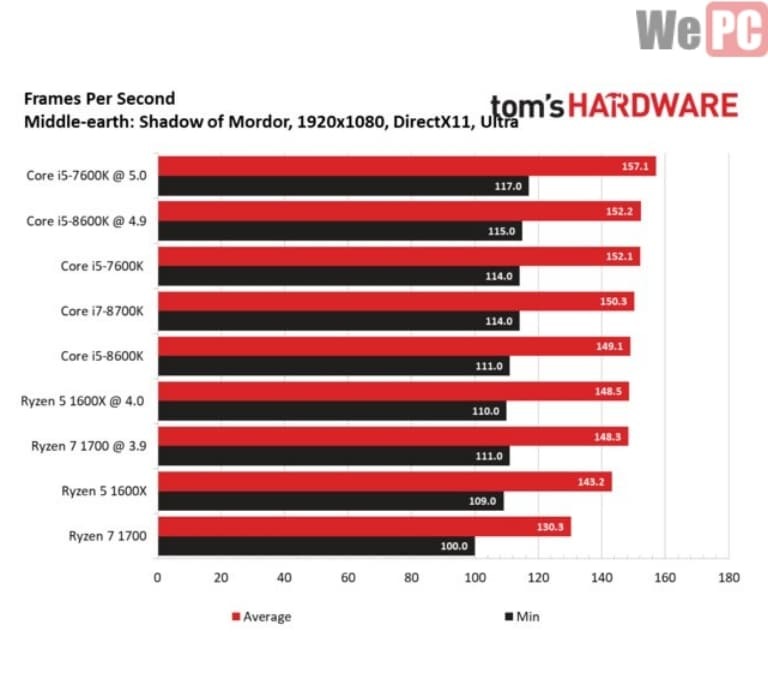 The team over at Guru3d have done an awesome job giving us some benchmarking. Let’s take a look at the benchmarks using the integrated graphics. Let’s look at this CPU when it’s paired with a dedicated graphics card. 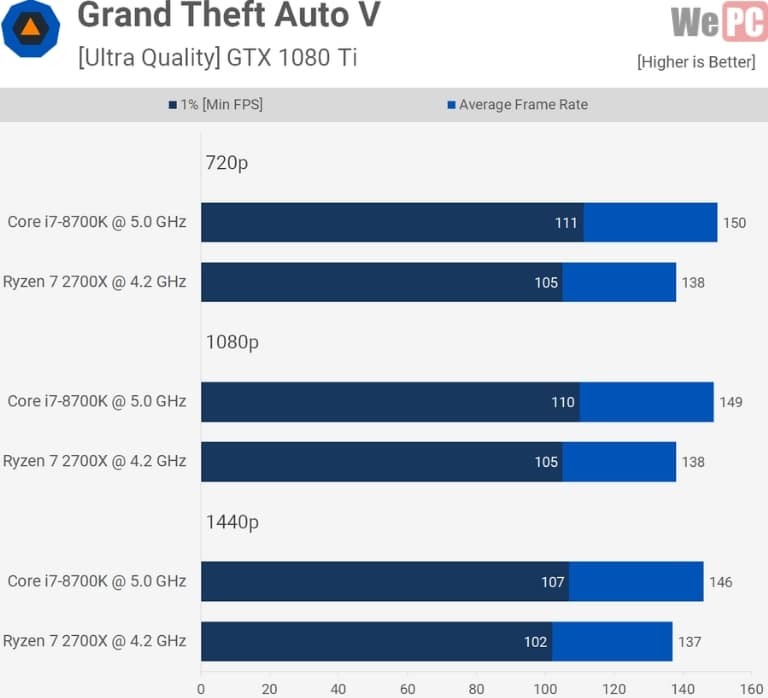 Even though it’s in the sub-$100 category, it still has enough power to run 1080p at playable framerates when paired with a dedicated graphics card. The integrated graphics aren’t great when it comes to more graphic intensive games, but MOBA style games seem to be alright. You can also make up for the lack of speed with overclocking, as all Ryzen models are unlocked for overclocking. 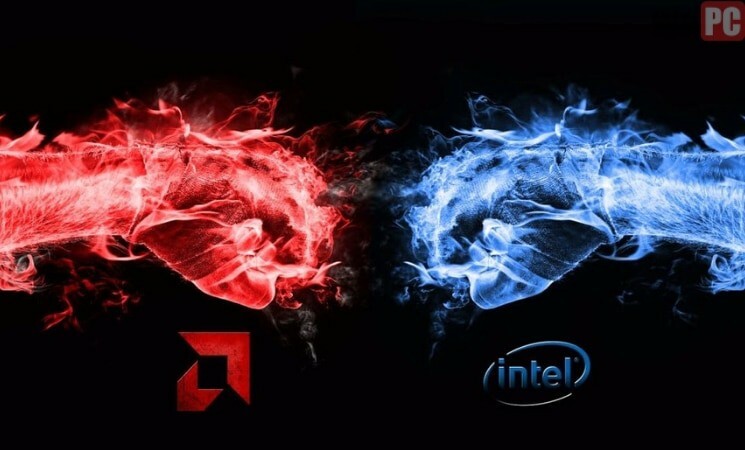 Which gaming CPU is best for you? Deciding which gaming CPU you’re going to get will come down to what your personal needs are. Using this list should be able to help you decide which one is best for you. Maybe your needs lie elsewhere and you just want an all around balanced processor. In this case, you may want to consider the Ryzen 7 2700 or the Intel Core i5-8600K for mid-high end builds. Perhaps you just need a budget CPU to get you by until you can upgrade later. Consider choosing one of the following: Ryzen 3 2200G, or the Pentium Gold G5600. Choosing your CPU can be a fun and rewarding experience, but it can also be a challenge. Now that you’re familiar with the best gaming CPUs of 2019, I hope you feel more educated on both what processors are and what you might need from them. So what do you think? Did we leave out a CPU that should’ve made the list? Would you opt out of the K-series models? Let us know what you think and we’ll get back to you! Nice job on a very good guide. However, may I suggest one correction: In the section “Terms to Know”, subsection “Clock Speed”, sentence “So 4MHz would be 4 billion cycles per second.”, the word “billion” should be “million”.